COMSATS University announced spring semester admissions in different programs and the students appeared in the entry test on 13-1-2019. 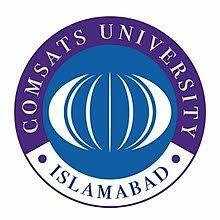 COMSATS University Screen test result 2019 has been issued to the students so that they can watch COMSATS University admission / entry test result 2019. The students will check their COMSATS University NTS Test Result 2019 with obtained marks and the students will get admission in their respective classes. The candidates will enter their roll no or CNIC without dashes online to get COMSATS University NTS Test result 2019.